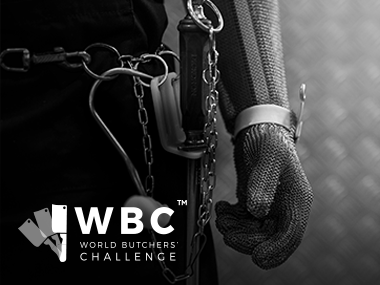 The World Butchers’ Challenge boldly claims to make rockstars out of butchers and is one step further to doing so after confirming the home for the 2020 competition as Golden 1 Center in Sacramento, California – the world’s most technologically advanced and sustainable arena. Home to the NBA’s Sacramento Kings and host to a who’s who of global superstars including Elton John and Justin Timberlake, this is the first time the arena has set up such a large international food event, let alone one that features 96 competing butchers. World Butchers’ Challenge Chair, Rod Slater visited the arena late last year and is thrilled with the decision to travel to Sacramento after witnessing what’s in store for the competition come September 2020. "Not only is this arena visually spectacular, the underpinning principles and programmes it delivers really align with what we’re about – celebrating food and passionate producers. Sacramento is really welcoming us with open arms and I can assure you, the best butchers in the world will put on a show like no other," said Slater. Likewise, Sacramento Kings Chief Operating Office Matina Kolokotronis is excited about the prospect of hosting an international food competition of this scale. Located in America’s Farm-to-Fork Capital, Golden 1 Center puts significant emphasis on catering for the thousands of visitors it welcomes, offering the most innovative food programme – or Farm-to-Court as they call it – in sports entertainment. Operating a one-of-a-kind, hyper-local food and sustainability program, they source 90% of their ingredients from a 150-mile radius of the arena and this will include the beef, lamb, pork and chicken used during the World Butchers’ Competition. Building on their sustainable food approach, Golden 1 Center is also the first arena to be awarded LEED Platinum Designation – the highest level of global recognition for environmentally conscious buildings and organizations, including being 100% solar powered. To buy tickets or read more information on the competition, including the full history and team bios, visit worldbutcherschallenge.com.